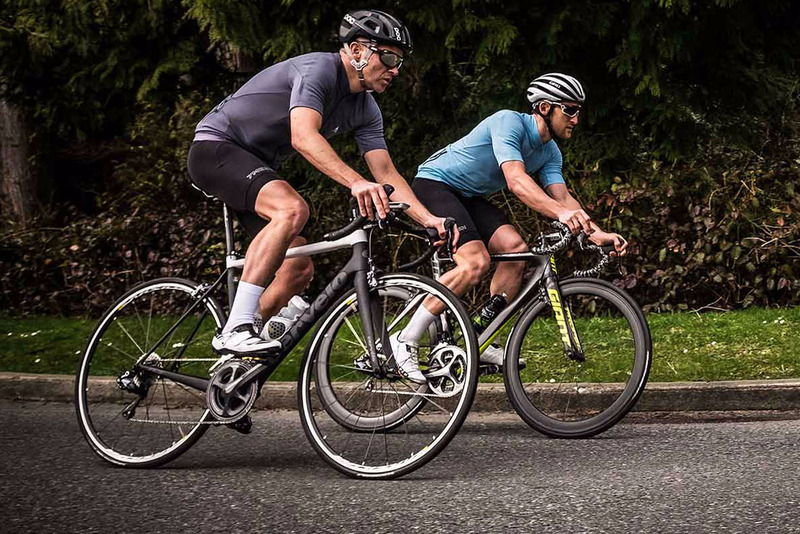 One year ago, lululemon bought a minority stake in a tiny premium cycling apparel maker, 7mesh. And now this pairing is coming to stores across North America. Lululemon is known for high-end yoga pants. So its 7mesh-designed cycling line partnership presented a major gear shift. While cycling enthusiasts may view the move as a step away from core gear, both brands claim the partnership will only boost innovation in the cycling apparel space. We talked to both brands to find out what the future holds for this unique business partnership, as the first line of gear begins to hit shelves. 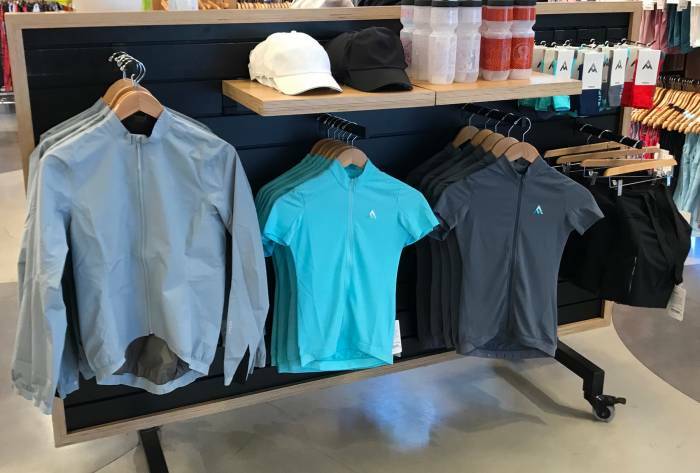 Both brands are Canadian and located just 25 miles apart, lululemon in Vancouver and 7mesh in Squamish. And both use specialized fabrics, innovating products through the creative use of textiles. And most importantly, each team can leverage the other’s expertise in product innovation and technology — and maybe even marketing and retail. Haselden told us he liked 7mesh’s brand vision and its team. And it’s easy to see why: Five of the Squamish brand’s leadership team hail from another Canadian outdoor brand — Arc’teryx. 7mesh CEO Tyler Jordan previously spent 18 years at Arc’teryx. During his tenure, the brand’s tactical and outdoor apparel business grew from $1 million to $180 million. And the company’s Vice President of R&D, Ian Martin, came from Arc’teryx. The child of a textile artist and an engineer, Martin built his first climbing harness at 15, then launched an outdoor accessories sewing business while still in high school. Fast forward to Arc’teryx. Martin stayed there for 12 years, winning numerous innovation awards with his hardgoods team, before leaving for 7mesh. 7mesh, a small brand with just eight employees, also has a lot to gain. 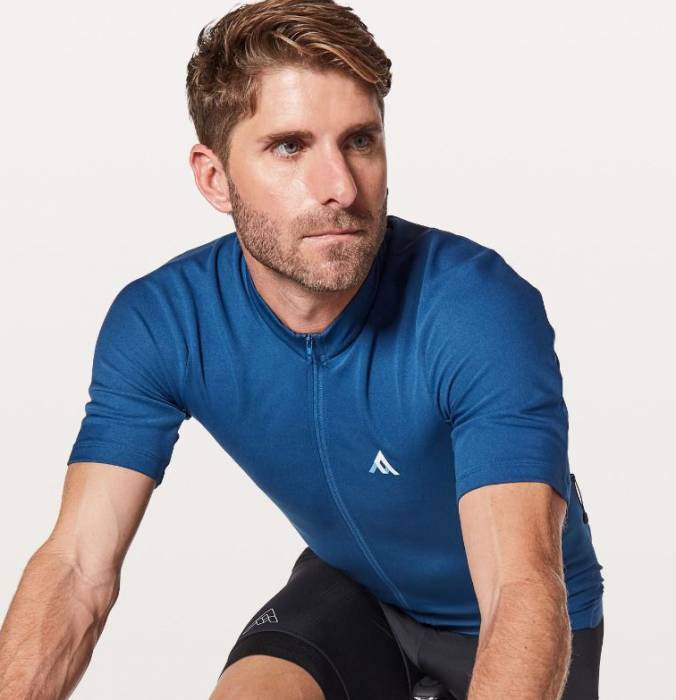 The cycling apparel maker currently sells online and in 125 retail shops. Lululemon nets $2.6 billion annually, so it will instantly launch 7mesh into a massive new retail market. That exposure is an obvious win — and the seed money to invest in additional employees helps too. “Each business brings its own product expertise and technical prowess to the table, which gives us a huge knowledge pool of different designs, materials, and construction approaches,” he said. From the outside, accepting a deal with activewear giant lululemon may seem like a cash grab. But that’s not how Jordan frames it. “If ‘selling out’ means quitting our comfy jobs and pouring our life savings into a crazy dream, then we’re guilty as charged,” he said. For now, the first consumer-facing collection is all 7mesh. 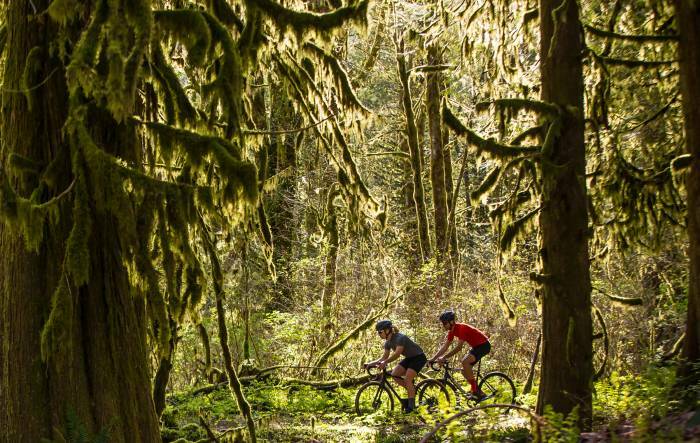 Online and in lululemon stores now, it’s an essentials kit for discerning cyclists. The men’s windproof jacket is a hefty $225. But that price point should come as no surprise to existing lululemon customers. But don’t expect any flashy patterns or — ahem — Lycra in the 7mesh collection at lululemon stores this summer. Jordan told us that the stretchy, one-size-fits-many benefits of Lycra come at a cost. “Lycra absorbs and holds a ton of water, which makes those garments much heavier, less comfortable, and much colder,” he said. So 7mesh designs avoid the popular cycling material. That requires patterning differently, like cutting jerseys on the bias, or diagonal direction of the fabric, and engineering cycling shorts and jerseys to better fit bodies. 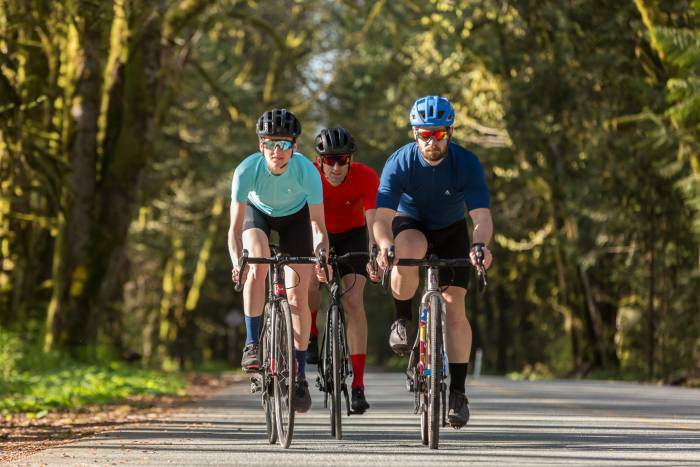 Mk2 bib short: Technical high-rise, long-length shorts with a breathable chamois and covered or eliminated seams. Men’s $200, women’s $150. Resistance jacket: An ultra-lightweight windshell jacket is water resistant. Men’s $225, women’s $200. 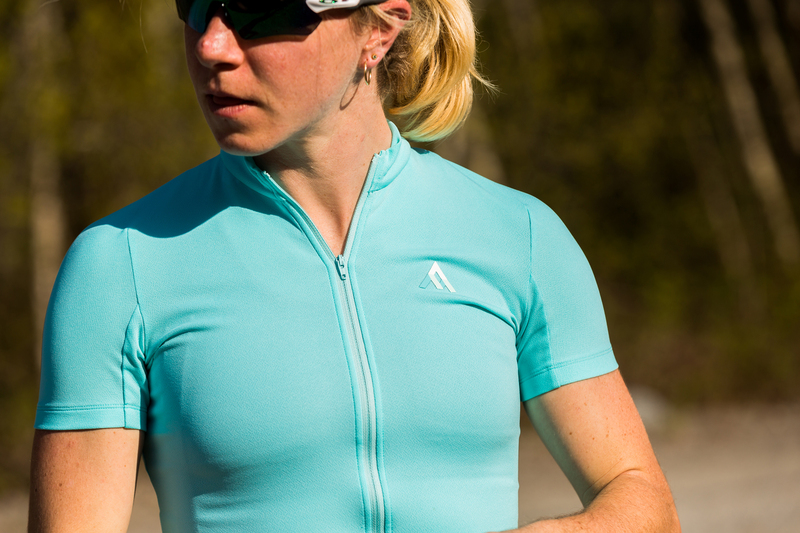 Quantum jersey: Full-zip, short-sleeve, one-color riding shirt with a five-pocket storage system. Men’s and women’s $140. Word socks: Anti-stink 6-inch mid-calf socks with airflow zoning on the cuff and 7mesh logo. Four unisex colors match the whole line. Men’s and women’s $20. Fall/winter product, for example, is something the 7mesh team has strong experience in from its members’ time at Arc’teryx. Technical outerwear is a hold for lululemon. It remains to be seen what future joint ventures will bring. As for giving up his company’s goods to a yoga wear behemoth, Jordan’s not too worried about the message that sends.